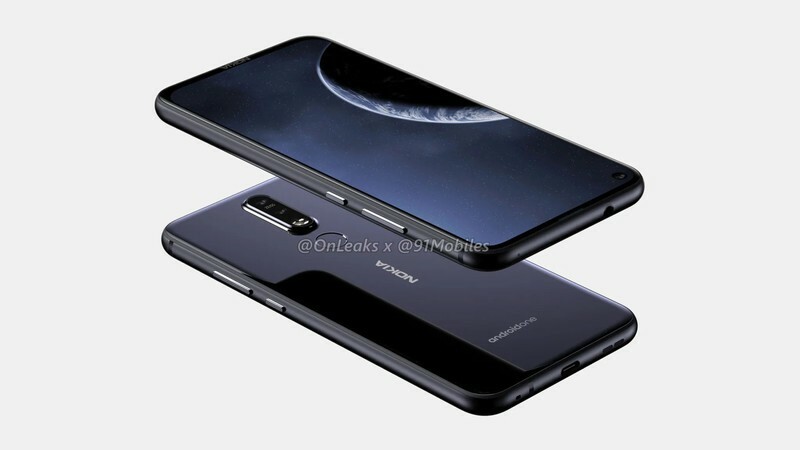 The post Nokia 8.1 Plus Leaked Renders Show Camera Cutout Display appeared first on OneTechStop. Nokia is again making some solid phones, and this year, it might join the gang of the camera cutout display phones as well. Onleaks and 91Mobiles have leaked render of the upcoming Nokia 8.1 Plus which shows a bezel-less display with a punch hole, just housing the camera. As you can see, the phone is almost bezel-less with the chin showing Nokia logo. Other than that, the design is pretty neat. The phone will also come with dual rear cameras, a two-tone LED Flash and a fingerprint sensor. The display size of the Nokia 8.1 Plus is going to be a 6.22-inch screen., It will have both the USB-C port and a 3.5mm headphone jack. We don’t know more about this device but we’ll update you soon! Keek following.